Aerogel Technologies, LLC | What Are Aerogels? Aerogels are a diverse class of ultralow density solids that combine multiple disparate and extreme materials properties into a single material envelope. Aerogel materials generally exhibit a high degree of porosity, high specific surface area, and superlative energy damping (thermal, acoustic, and impact) properties. 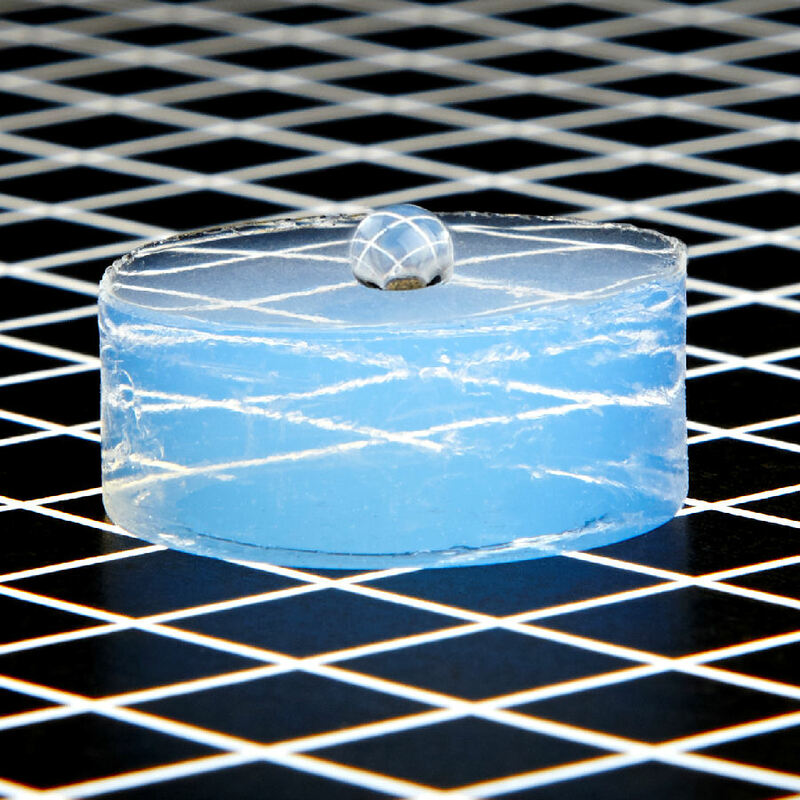 The name aerogel may be misleading at first, as aerogels are dry, rigid or elastic foam-like materials—the name originates from the fact that aerogels are usually derived from wet gels, physically similar to edible gelatin, in which the liquid component of the gel has been replaced by a gas or vacuum in a way that preserves the gel’s sparse solid, porous backbone. Silica aerogels are a common type of aerogel that combine ultralow thermal conductivity (as low as 10 mW m-1 K-1) with extremely low density (as low as 0.001 g cm-3), high specific surface area (500-2000 m2 g-1), low dielectric constant (as low as 1.02), and good optical transparency (~91% per cm), making them uniquely valuable as high-performance insulators, supports for chemical sensors and catalysts, and particle detectors. Some aerogels, such as aerogels made of carbon, metals, and carbon nanotubes, also exhibit good electrical conductivity, making them ideal substrates for electrodes in ultracapacitor/supercapacitor architectures, batteries, and desalination applications. But read on—there’s much more to aerogels than just superinsulation and electrodes. Aerogels are not restricted in composition to any particular substance, but rather are a high-definition porous geometry than can be taken on by a substance or combination of substances. An aerogel is an open-celled, mesoporous, solid foam composed of a network of interconnected structures that exhibits a porosity (non-solid volume) of no less than 50%. 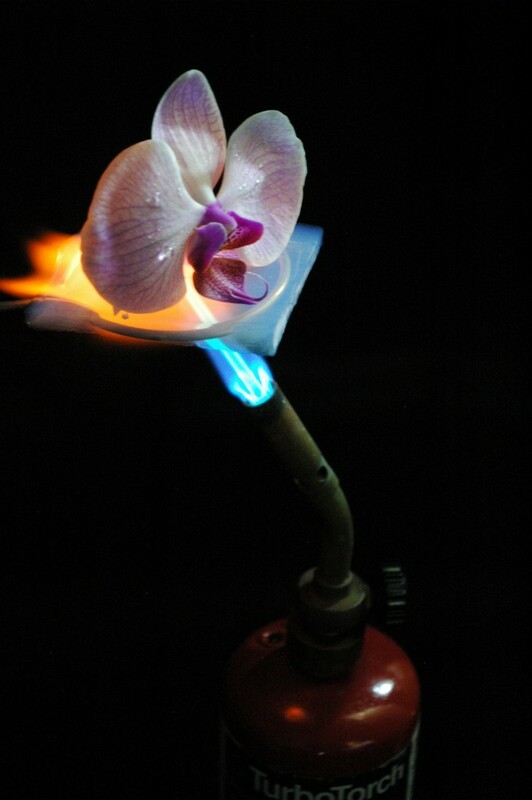 Each of these different types of aerogels provides unique properties, which can include electrical conductivity (carbon and metal aerogels), extreme (up to 80%) elastic return (nanotube and graphene aerogels), catalytic functions (various oxide and metal aerogels), photoluminescence (quantum dot and metal chalcogenide aerogels), water repulsion and oil sorption (hydrophobic silica and polymer aerogels), and more. Incredibly, aerogels were first reported in 1931 by Samuel Stephens Kistler of the College of the Pacific in Stockton, CA. In fact, the first aerogels were made of edible jelly, gelatin, egg albumin, agar, rubber, nitrocellulose, alumina, and, of course, silica. Historically, native aerogel materials have been impractically brittle for industrial applications due to their extremely poor fracture toughness and relatively low compressive strength. Over the past decade, forms of aerogels that circumvent these limitations including composite aerogel/microfiber blankets and low-cost fine particles have been made commercially available and to date have had a measurable impact on energy efficiency in the oil and gas, daylighting, and performance coatings industries. Monolithic aerogels, however, potentially leverage the broader set of properties offered by the aerogel geometry better than these other forms and thus are emerging as a platform for enabling a wide array of novel technological applications. Recently, new methods for making strong monolithic aerogels (i.e., non-brittle with enhanced mass-normalized compressive strength and stiffness) have been discovered. These include technologies such as x-aerogels, invented by Dr. Nicholas Leventis, Curators’ Professor at the Missouri University of Science and Technology, and strong polymer aerogels, many of which were also discovered by Dr. Leventis and colleagues. Research at NASA Glenn Research Center has further extended the portfolio of mechanically strong aerogels that can be made since then. Aerogel Technologies has, for the first time, brought strong monolithic aerogels to market. Our revolutionary new Airloy® Ultramaterials combine superinsulating thermal performance with strength, stiffness, and machinability in a dust-free and waterproof form. Read more about Airloys or visit BuyAerogel.com to experience Airloy materials for yourself first-hand. 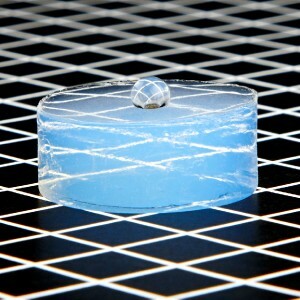 Visit Aerogel.org and learn more about the rich possibilities of aerogels. For more information about Aerogel Technologies products, visit our frequently asked questions (FAQs) page.